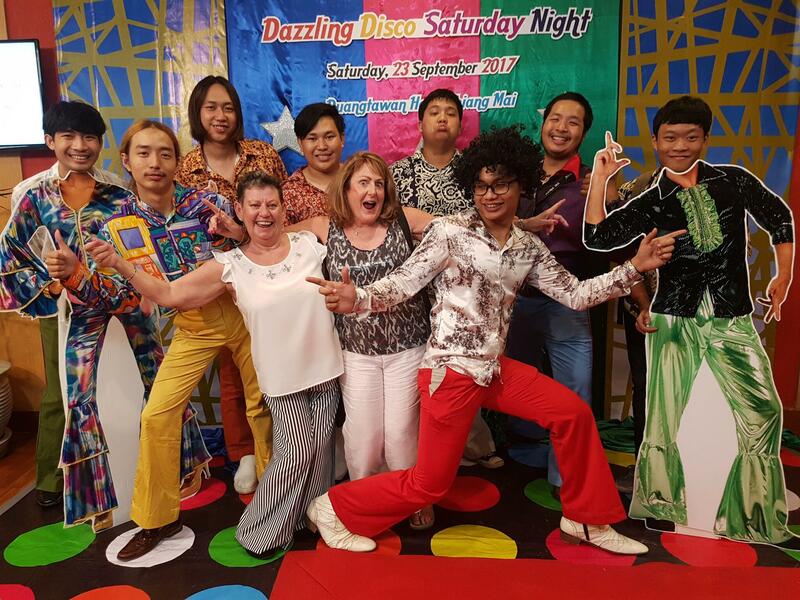 Did you make it to the Chiang Mai International Rotary Clubs Dazzling Disco Saturday Night? Well, if you missed it you missed the best CMIRC party to date. The bar has been raised. 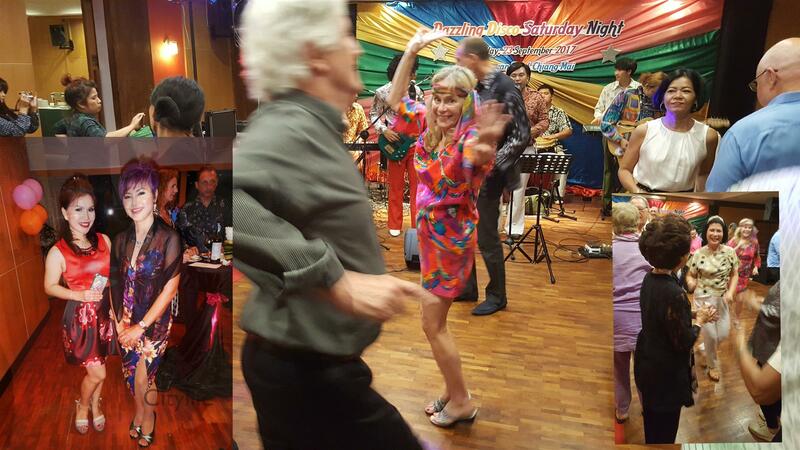 The food and drink was great, the band was awesome and we raised a lot of money for our children's projects. I would like to thank all who attended and supported: Our honorary member Colin Jarvis gave his time, talent and fuel to provide the sound system and more! Without Colin the night would have been far less a success both in the quality of sound and the net to charity. THANK YOU COLIN! Also, I would like to thank our neighboring Rotary Clubs for their support, The Rotary Club of Thinthaingam, The Rotary Club of Chiang Mai and the Rotary Club of Chiang Mai North. Did you know that Chiang Mai North is our sponsoring club? Without our generous sponsors, we could have no lucky draw. The management and staff at the Duangtawan Hotel are fabulous! I will certainly campaign to have future events at their property.